Impart a message of love that will tug on the emotions of someone special in your life. 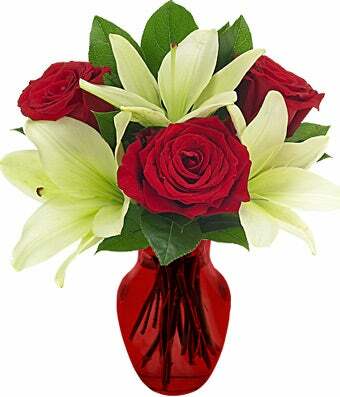 This gorgeous floral combination of Asiatic lilies and roses in a stunning red vase says it all, from your heart to theirs. Measures 12"H by 10"L.